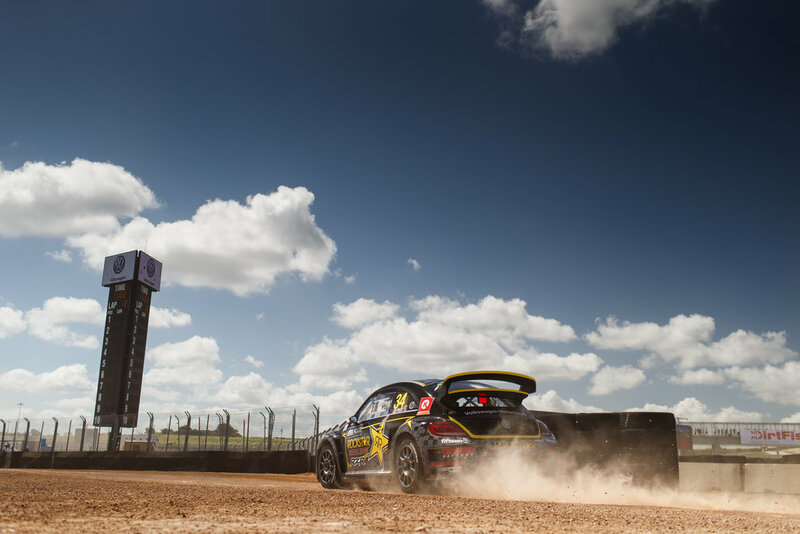 (November 9, 2018) – Volkswagen Andretti Rallycross driver Tanner Foust entered the inaugural Americas Rallycross (ARX) season as one of the most experienced drivers on the grid, and put that knowledge to good use setting the first ever quickest ARX time in the first round at the Speedmachine Festival in Silverstone, UK. Foust then took Top Qualifier at Silverstone, won Semifinal 1 and the Final to take the points lead. In the second round at the Circuit of The Americas in Austin, Texas, the random Q1 grid draw put Foust on the outside of the grid and with teammate Scott Speed on pole position on the inside, Foust had to take the joker on lap one. That’s how his event would continue and when he got held up after a lap one joker in the final, his hopes of finishing first or second evaporated. He finished third behind Speed and Loenbro Hoonigan’s Ken Block. 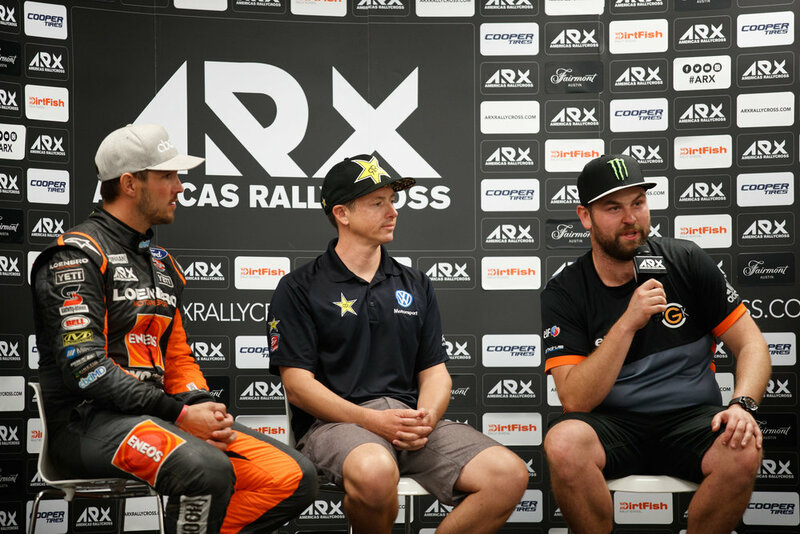 It was a Block vs Foust battled that also played a key role in the outcome of the third round of ARX as the series headed North to Canada for the famous Grand Prix de Trois-Rivieres weekend. 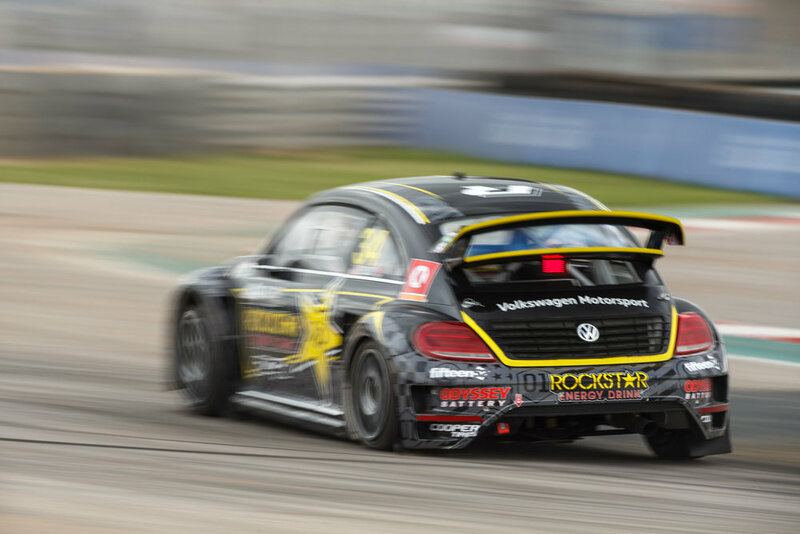 Starting Q2 next to each other, Foust and Block had contact at turn two which put Foust into the wall, causing big damage to his Volkswagen Beetle Supercar and meaning the VARX team had to work late into the night to repair the damage. Foust fought back on Sunday morning and eventually beat Block in the final, but finished second to teammate Speed. In the final round, on ARX’s return to COTA, Foust knew he had to win to stand a chance of winning the title. He started in the best possible way, as he had at Silverstone, with quickest time in Q1 and Q2. Then, even despite getting caught in a slower wet qualifying race on Sunday, Foust took TQ and won semifinal one. He then took victory in the final, his second win of the year, but with a solid result for team mate and points rival Speed it wasn’t enough for former European Rallycross race winner Foust to take the ARX crown and he finished the season as runner-up.